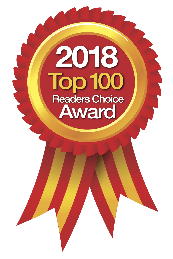 Drucker Labs is a leading manufacturer of carbon-bond, liquid nutritional therapy solutions sold exclusively through health care professionals. Using a revolutionary and proprietary process known as intraCELL V Technology®, Drucker Labs produces one of the most advanced liquid nutritional therapy solutions available: intraMAX®. Each bottle of intraMAX is produced using a 40-day, cold-fill process and includes a complete daily allowance of vital nutrients, minerals, vitamins, fruits and vegetables. 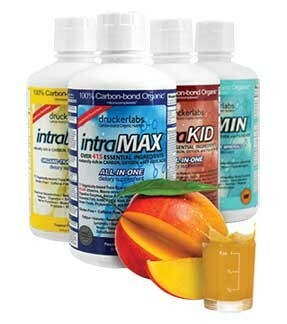 intraMAX® is a great-tasting (peach-mango flavor) liquid multivitamin and mineral nutritional supplement. In just a one-ounce daily dosage, intraMAX provides over 415 essential ingredients, including super greens, over 71 trace minerals with 65 naturally-occurring electrolytes, bioflavonoids, antioxidants, amino acids, vegetables, fruits, herbs and much more! intraMAX® has a Carbon-bond Organic® trace mineral base, naturally-enriched with fulvic acid, to enable a faster & higher rate of nutrient absorption. Additionally, intraLINE products are hypoallergenic, vegetarian and free of dye, gluten, soy, dairy and caffeine. intraKID® is a great-tasting (raspberry flavor) liquid multivitamin and mineral nutritional supplement formulated just for children (4-12-years-old). In just a one-ounce daily dosage, intraKID® provides over 215 essential ingredients, including super greens, over 71 trace minerals with 65 naturally-occurring electrolytes, antioxidants, amino acids, vegetables, fruits, herbs and much more! intraKID® has a Carbon-bond Organic® trace mineral base, naturally-enriched with fulvic acid, to enable a faster & higher rate of nutrient absorption. Additionally, intraKID® is non-GMO, hypoallergenic, vegetarian and free of dye, gluten, soy, dairy and caffeine. intraMIN®, available in a refreshing tropical fruit or unflavored formula, is a liquid mineral nutritional supplement. In just a one-ounce daily dose, intraMIN supports overall immune health with over 71 organically-bound trace minerals & 65 naturally-occurring electrolytes. intraMIN® has a Carbon-bond Organic® trace mineral base, naturally-enriched with fulvic acid, to enable a faster & higher rate of nutrient absorption. Additionally, intraMIN® is non-GMO, hypoallergenic, vegetarian & free of dye, gluten, soy, dairy & caffeine. intraMAX®, intraKID® and intraMIN® are: Free Of: Wheat; Dye, Gluten; Yeast; Dairy; Soy; Nuts; Shellfish. Also Free Of: Antibiotics (drugs); Artificial Colors; Caffeine; Cholesterol; Coatings; Egg; Fat; Fillers; Fish; Fish Oil; Harsh Chemicals; Herbicides; Milk; Peanuts; Pesticides; Salicylates; Soybeans.